Residential - Lloyd's Electric Service, Inc. In today's "do it yourself" era, it can be tempting to try and save a few dollars by attempting electrical projects yourself or with the help of the local handyman. Why risk serious injury or damages and costing you your hard earned money. Call East Tennessee's most reliable residential electrician, Lloyd's Electric Service, Inc... Our professional repairs are performed correctly and safely the first time, getting your life back on track. Don't let old or dangerous wiring remain a safety hazard in your home. Our experienced electricians can evaluate the condition of your electrical wiring and provide a free estimate for upgrading your home electrical system.We can also replace old or inadequate electrical panels, add or replace breakers, and increase the amps of a current outlet. Electrical wiring is a very important part of any home in regards to function and safety. If you're buying or selling a home, call us today for thorough and professional home electrical inspections. From gently glowing spotlights to welcoming post lights, we can assist you with all of your outdoor illumination needs. If you've been dreaming of having a relaxing hot tub or swimming pool in your backyard or on your patio, we can help hook you up - literally. Our helpful home electricians will install the electrical wiring in just the right place. We even do underwater installations. Don't let old or dangerous wiring remain a safety hazard in your home. Our experienced electricians can evaluate the condition of your electrical wiring and provide a free estimate for upgrading your home electrical system. We can also replace old or inadequate electrical panels, add or replace breakers, and increase the amps of a current outlet. If you need someone to assess the electrical system in your home, we can help. We'll discover why that breaker keeps tripping, what that mystery switch operates, or why those room lights keep flickering. Our certified home electricians will find the source of the problem and get everything back in proper working order again. From just the essentials to your whole house, Lloyd's Electric Generator staff can do the job. 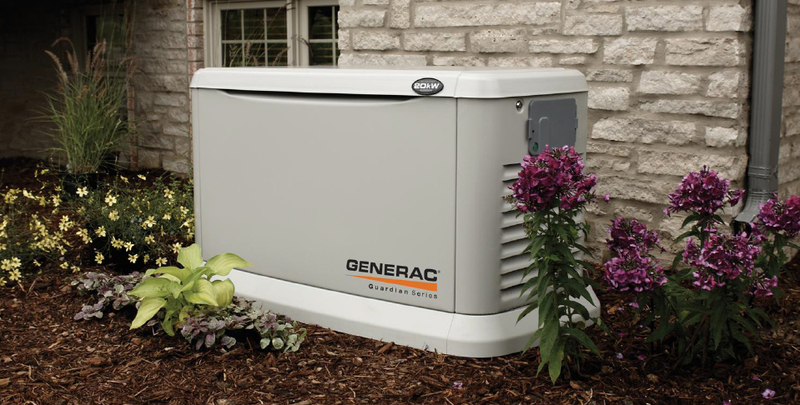 Never worry about losing power during that summer storm or when the ice comes. Let us give you peace of mind in knowing you are taken care of. Lloyd's Electric Service, Inc. has a full arsenal of Smart Home and Home Automation solutions. We offer installation, service and repair, and consultation on a variety of solutions, and we can integrate with many technologies such as Amazon Alexa and XFINITY Home.